Ultra slim self-adhesive card holder for your phone. Personalized the way you want it. Holds up to two cards. Do you want the functionality of a wallet case but not the bulkiness? Then this personalized phone card holder is perfect for you and your loved ones. The ultra-slim design makes sure that you can keep all your important cards on hand without a second thought. 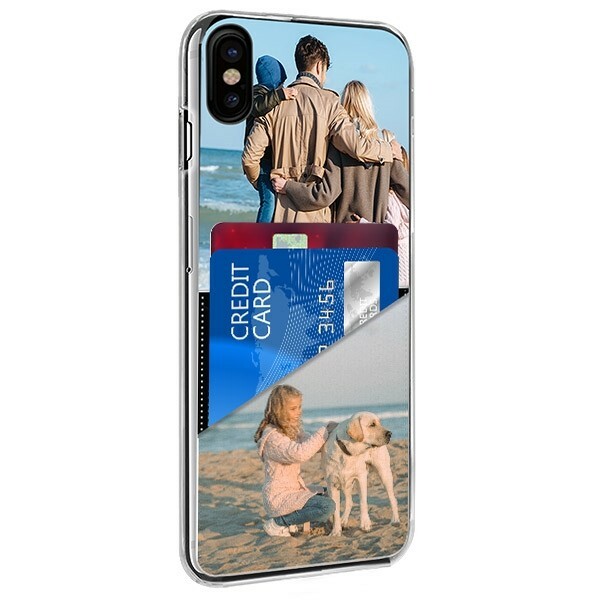 The personalized phone card holder can be attached via a strong adhesive to any smartphone or phone case and now you can add your personal touch to it. The custom phone card holder is deceptively small as it can hold up to two cards. The vinyl leather is also an unique feature as it prevents the personalized card holder from tearing as you place more and more cards in. How is the Phone Card Holder customized? The luxurious black stays the same to add a sophisticated look and to compliment your design while the white can be customized with your memories or an intricate design. The process of creating your own custom made phone card holder can be done in a few easy steps! First, upload a photo. It can be something simple for the business man in your life or a treasured memory for a family member always on the go, the world is your oyster. 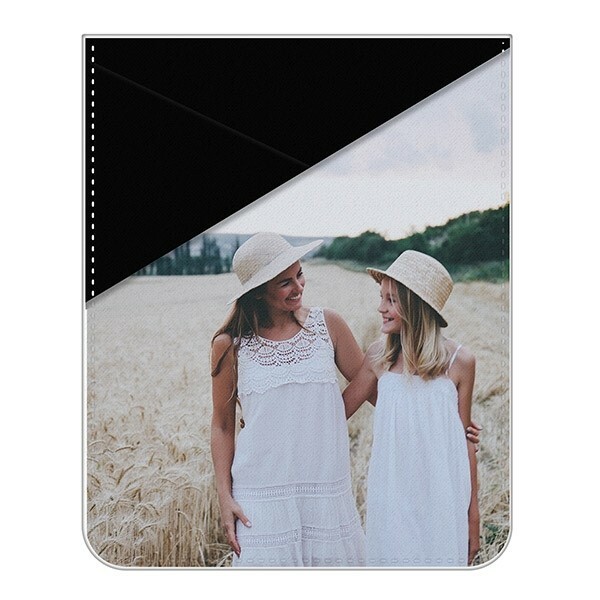 The photo for your custom made phone card holder can be uploaded via computer, mobile phone, or by using Facebook or Instagram. Edit, adjust, and arrange your photo or design until it looks perfect to you. Check out our templates and designs if you need more inspiration! Ready to receive your personalized Phone Card Holder? Once you love how your personalized phone card holder looks just go ahead and press "Finish Order." A payment screen will follow where we offer various payment methods. The FAQ can found at the bottom of the website. We will do everything we can to ensure that your purchase is on your doorstep as quickly as possible. 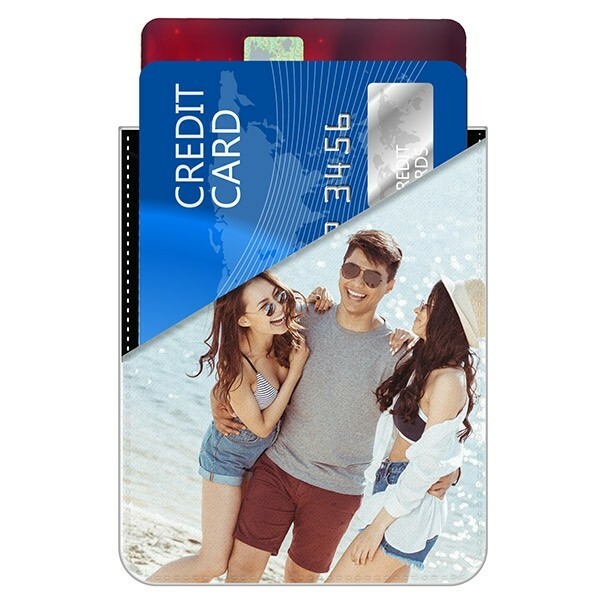 If you still have questions about the phone card holder or anything else, please contact our customer service by sending an email to support@gocustomized.com. We will be happy to answer any and all questions!